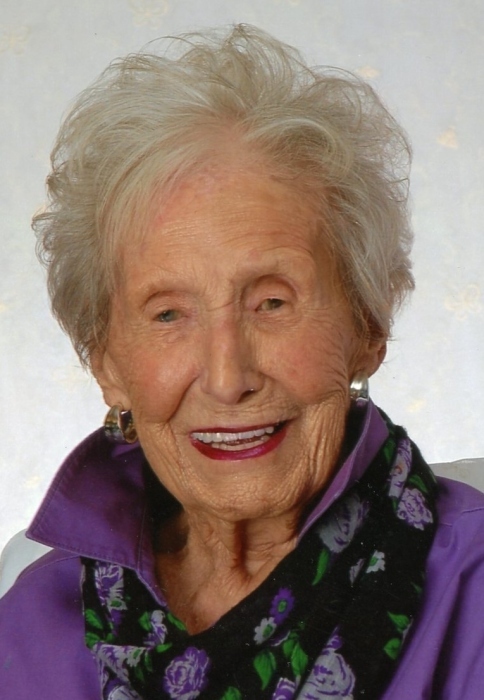 Evelyn V. (Campbell) Hill, age 100, passed away peacefully, in the company of her loving family on Friday, April 12, 2019. A longtime resident of Quincy, Mrs. Hill was formerly from South Boston and Dorchester. A graduate of Dorchester High School for Girls, she became an avid accomplished swimmer at a young age. Additionally, Mrs. Hill was passionate about playing golf, which she did whenever possible on Cape Cod and in Florida. She was devoted to her family and enjoyed spending as much time as she could with them. The daughter of the late Thomas and Mary (Clasby) Campbell, she was the beloved wife of the late Carlyle T. Hill, as well as, the cherished mother of Priscilla “Chris” Jordan (Richard) and Rosemary Bailey, all of So. Boston, Gail Howie (David) and Daryl Lacey (Edward), all of Braintree. She is lovingly survived by 7 grandchildren and 16 great grandchildren. Mrs. Hill was the sister of the late Eileen Ryan, Lillian Taylor and Ruth McPherson. The family is eternally grateful for the loving care given to their mother by Donna Keddy and the dedicated staff of the John Adams HealthCare Center, especially the Activities Staff who kept her smiling and singing. Visiting hours will be held at the Alfred D. Thomas Funeral Home, 326 Granite Ave., Milton, Wednesday, 4 to 8 PM. A Funeral Service celebrating her life will be held at the Funeral Home, Thursday morning at 11 AM. Burial will follow in Milton Cemetery. In lieu of flowers donations may be made in her memory to Beat N.B. (Childhood Cancer), P.O. Box 850804, Braintree, MA 02185.